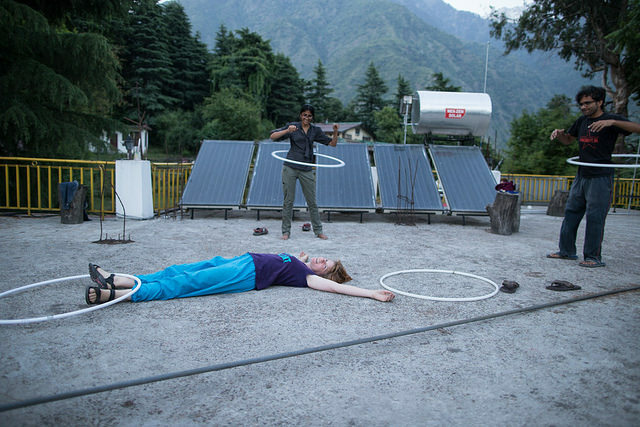 Spin Matsuri classes at hillhacks in Dharamsala, India. 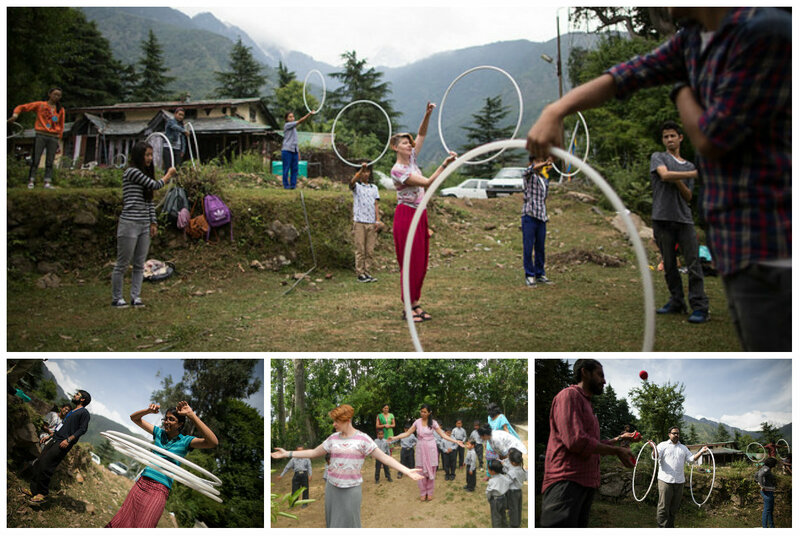 Through the hillhacks school outreach program (May 17- June 2), I taught theatrics, dance, hooping, fitness, and juggling to almost 250 kids. I also MC’d the Gala Show on June 6th featuring three school performances and a bunch of wonderful hillhacker talents. Scenes from the hillhacks Gala Show. Photos by David Huang. 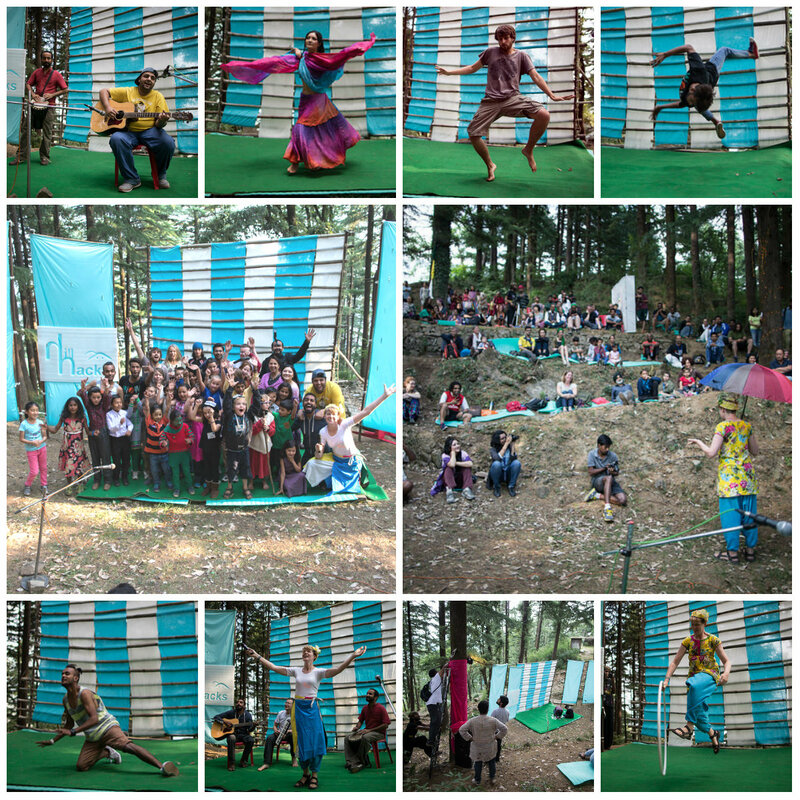 And during the hillhacks conference itself, I did circus fitness, juggling, and hooping with a lot of the adult participants – everyone loves to hula hoop and some of our hackers and makers took it to a new level. Tazz loved it so much that he went home in a cast after a hoop diving accident. But generally, things were a little gentler and filled with laughter. I was excited that Freeman Murray, from Jaaga in Bangalore, hosted a daily sunset flow jam. Sometimes I had the chance to let myself hoop instead of teaching.